Ken Harnden begins by covering 11 essential teaching points for proper hurdling - the foundation of this presentation. These keys include repetition, straight-line energy, attacking the hurdle and arm and leg motion. An excellent series of drills begins with the 3 x 30 drill. This sprint drill helps develop the sprinting aspect of all hurdlers. 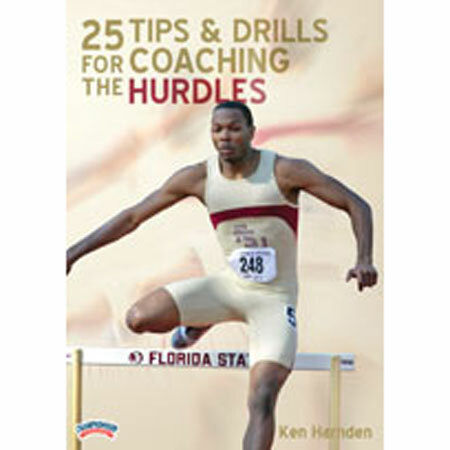 A package of 14 hurdle drills cover a catalog of information needed by all hurdle coaches, from junior high to college. Next, Coach Harnden details major components of the 300/400 hurdle event. 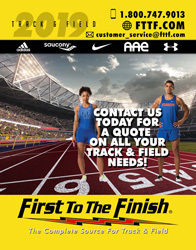 Taking on curves, proper set up, transition periods and moving hurdles closer in practice to dictate stride pattern are included in these hurdle keys. Harnden details five unique hurdle workouts, each tailored to accomplish different aspects of successful hurdling. Next, sled pulls and bounding drills take the stage. Good sprint posture in the drive phase is the focus. Plyometric activity and turnover improvement are gained in the bounding series. He closes with five hurdle stretches.